Your French Connection welcomes individuals and groups, from young adults to seniors, who are passionate about learning or increasing their abilities in the French language, so they can comfortably travel and enjoy the culture of the francophone regions and countries throughout the world. At Your French Connection, we recognize the proven benefits of bilingualism to all ages and the fact that it is never too early or too late to embark on the fabulous journey of learning French while engaging fully and meaningfully with French native speakers. We also see speaking a foreign language as a tool to get in touch with oneself while gaining understanding and respect for different communities. No matter what one’s French language intentions and abilities are, if you enjoy learning and connecting, we share that passion with you and we look forward to working with you to grow that passion. Your French Connection welcomes students from all stages and walks of life. All activities and situations encourage participants to engage with the language so they expand their linguistic foundations while using the language in an authentic context. The experience fosters personal growth, deepen confidence in one’s French language skills and create connections with other cultures upon which peace in the world will flourish. Bonjour, je m'appelle Alysse and I have a passion for French and cultural exchange. This passion led me to create Your French Connection (YFC)--a company dedicated to welcoming individuals and groups who are passionate about traveling in francophone areas and whose biggest challenge is not feeling confident using their French when traveling. YFC helps them to have a transformational traveling experience. Alysse was born in the French-speaking region of Switzerland to a Swiss mother and a Spanish father. After college, she left Switzerland and began teaching French in Bogota, Colombia. Later, she taught at the Washington International School in DC, followed by teaching in middle and high schools in Vermont. Her passion for French led her to work in private, public, and continuing education classrooms, with language learners from ages 8-88. For five summers, Alysse was the Assistant Director at the Middlebury Monterey Language Academy (MMLA), where her role spanned both managerial and teaching responsibilities in a residential language immersion program for high school students. In addition to running Your French Connection, she also teaches French classes with the Alliance Française of the Lake Champlain Region in Burlington, Vermont, where she lives with her husband and dog. Your French Connection works alongside with partners/collaborators who have been carefully selected to share their talents with our participants. They all have a background in group work, with a diversity of people. 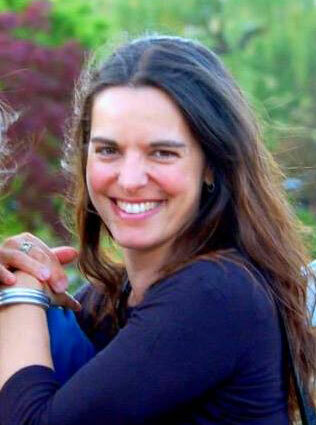 Heike Meyer (European Bakeress): Heike is a bakeress, food lover and is fluent in French. Growing up in bread-centered Germany, she developed a taste for good bread and pastries early on. Since then she has been baking alongside respected bakers in Germany, France and the United States. Every year she travels to Europe and around the US, discovering traditions, researching new recipes and learning new baking techniques. Honoring the rich traditions of artisan bakers around the globe, she is committed to baking only the most delicious, wholesome breads and pastries. Now the Brot Bakehouse, a pop-up bakery with regular delivery to City Market (Onion River Food Coop) in Burlington and Hudak Farm Stand in Swanton, also offers baking classes at her bakery in Fairfax, Vermont. Anne-Marie Dupont (Artist & Educator): Anne-Marie was born in France and has lived in Quebec since 1972 . She is a world traveler and her trips through Europe, the Middle-East and North Africa have greatly influenced her paintings and artistic creations. Before becoming a professional artist—participating in solo and collective exhibitions—she was a French teacher for international students and she also taught drama and art classes at elementary school. She currently shares her passion for education and art offering art workshops for adults for the Sutton community and collaborating with Your French Connection artistic programming. Françoise Guenette (a.k.a. Frankie) (Passionate Chef & World Traveler): Frankie's love affair with food began at a very young age. Her grandfather who was in the food import business, enabled her grandmother—who was a already a great cook—to become quite avant-garde and creative with her meals. Along the years Frankie—being adventurous by nature—continued to appreciate and explore food and world cooking in the countries she extensively traveled to and lived in, such as Jamaica. However her roots are in Quebec and she is proud and confident about cooking and sharing the hearty food of her ancestors. Now retired, she enjoys cooking for family and friends. She is also a volunteer cook, and at the Christmas time, you will find her cooking a storm for community events—serving up to 300 meals—to raise funds for the Sutton Food Bank, First Responders and Elementary School. Frankie is really eager to meet all the participants of Your French Connection and share her passion for food with them! Patsy Jamieson (Experienced Chef & Cooking Educator): Patsy is a freelance food writer and consultant known for creating healthful recipes that do not compromise flavor. She is Recipe Editor for Tufts University Health & Nutrition Letter, Food Stylist for Glenn Moody Photography, and Culinary Instructor for Your French Connection and OLLI (Osher Lifelong Learning Institute) at the University of Vermont. Patsy is the author of Celebrating Herbs and Cooking for Health & Flavor. She is the former Food Editor and Test Kitchen Director of Eating Well and has appeared on numerous television shows, including Good Morning America, the Today Show, and Sara’s Secrets. Patsy holds a Grand Diploma and Professional Certificate from La Varenne Ecole de Cuisine in Paris. After completing her studies at La Varenne, Patsy did stages (internships) in several Paris restaurants. Michel Ménard (Montreal Guide & Urban Marmotte Guiding Company Owner): Michel was born in the Province of Quebec, 40 minutes south from Montreal. Since 1995 he has lived in Montreal, where he has worked for the Youth Hostel Association of Quebec. His passion for traveling led him to backpack extensively throughout the world, exploring Europe, Asia and parts of Africa. Since 2004, he has also led trips in the outdoors, presented lectures about travels, guided for other companies and accompanied teenagers groups in a variety of cities in the USA. Since earning his guiding permit for Montreal, Michel opened the doors of his own guiding company “Urban Marmotte”.